1. 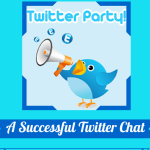 Clean out your Twitter followers using Tweepi. I hate to see people or brands on Twitter who are following twice as many people as they have followers. It just doesn’t look right. I love to use Tweepi to flush out the unfollowers. It’s a quick and easy way to unfollow people who aren’t following you back, and even out your follower to unfollower ratio on Twitter. It’s a wonderful, free tool! 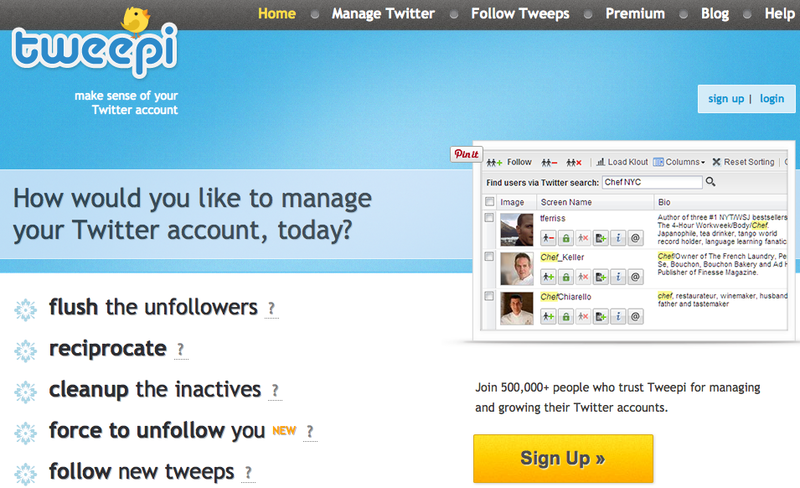 Just log in to your Twitter account from their homepage, and click on “flush the unfollowers”. 2. Follow some new people. Now that you’ve cleaned out your Twitter account a bit, it’s time to follow some new people. 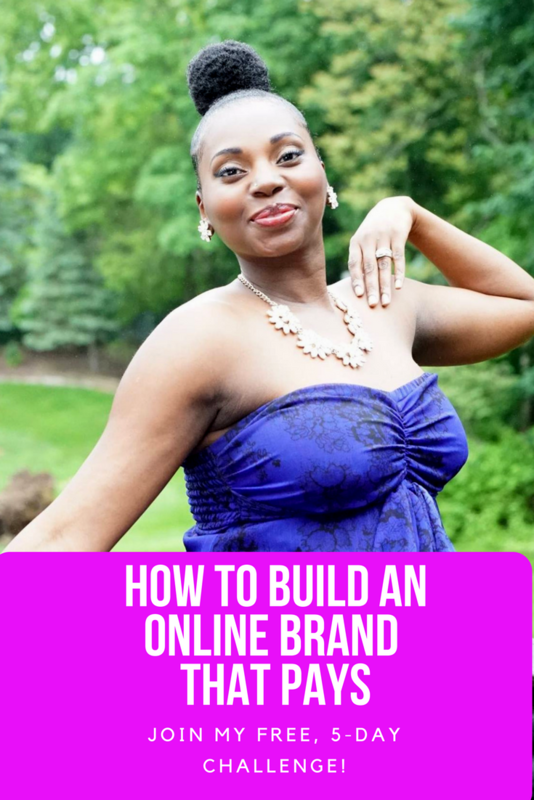 To do this, simply enter a hashtag of interest to you, or one that is related to your target market, in the search box, and explore who comes up. Be sure to check out each person’s profile before following to ensure that they’re someone who is actually active on Twitter. If they haven’t tweeted in a couple of months, there probably is no point in following them. The search box is just one way to find new and interesting people to follow on Twitter. Give it a try. 3. Update ALL of your cover photos. Cover photos are a powerful way to show the uniqueness, value, and credibility of your brand. 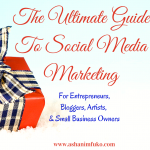 Almost all of the most popular social media platforms allow you to showcase a unique cover photo for your brand. Take advantage of this opportunity on EVERY platform that offers it. Facebook, Twitter, YouTube, and Google+ are all on that list. Do you have a eye-catching cover photo for your brand on each of these platforms? If you don’t, create them and upload them today! Canva is a great tool to help you do so. 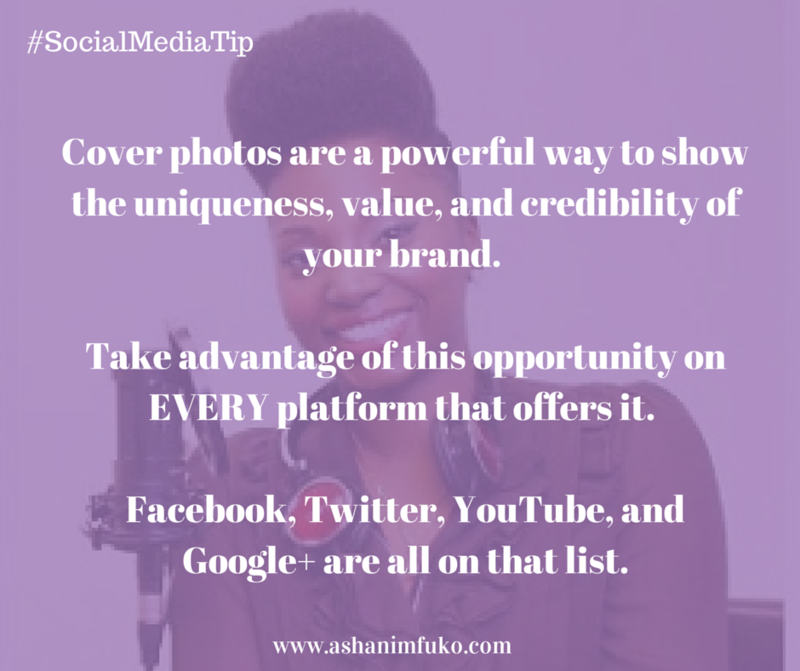 Use your cover photo to show the uniqueness, value, & credibility of your brand. Include your website too! 4. Update your profile bios. When was the last time you updated the bio on all of your profiles? If it’s been longer than three months, it might be time to edit and update your profile bios. For your personal profiles, you may want to add or remove a job, gig, or any major recent life changes, like getting married, having a child, or relocating. For your business, you may need to add recent milestones, awards, new clients, or update your services. Take a moment to do this today. 5. Update your Linkedin Profile and/or company page. Speaking of updating your profiles, Linkedin is one of the most important places for your professional profile information. Is it up-to-date? I suggest reviewing the profiles of some of the top industry leaders in your field, and making sure your profile includes the most important highlights related to your skills and work experience. You can even add videos and awards to your profile. If you have a company page on Linkedin, be sure to add info about new employees, clients, events, and share your blog posts on your company page regularly. 6. Create an editorial calendar for your blog. If you have a blog for your brand (and I sure hope that you do), it can be a daunting task to come up with new ideas for content to publish on a regular basis. This is where an editorial calendar comes in. Take time to jot down your ideas for various blog topics, and start outlining what you’d like to cover each week. You can find some quick tips on how to create new content for your blog here. Create a schedule based on the blog topics you’ve chosen, and keep track of how far along you are in the process of writing each post, and when it should be published within your editorial calendar. 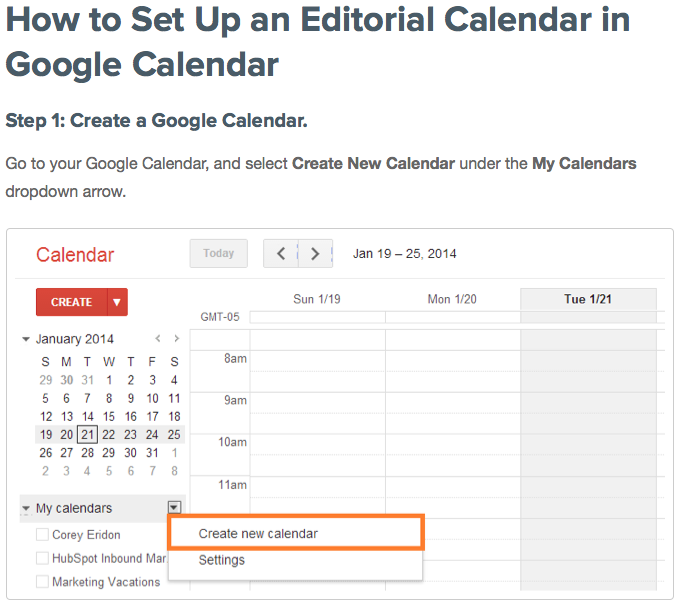 This article is a great step-by-step breakdown of how you can create an editorial calendar using Google via hubspot. WordPress also has some great editorial calendar plugins. A blog editorial calendar shows you all of your blog posts and where they are in the production process. 7. Ask a question. If more engagement is the goal, and one of the keys to success on social media, then why not ask your fans and followers a question? It makes the most sense. People are naturally motivated to answer a question when they see one posted on social media, especially if it’s something they have an opinion on. As part of your social media activity today, ask your fans a question that you know they will definitely want to respond to. 8. 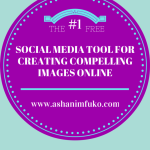 Post an eye-catching image using Canva. If you want more likes, shares, comments, and re-tweets on your social media pages, you MUST post great images on a regular basis. Compelling images always get more interaction and engagement on social media, whether it’s an actual photo, or just text, in the form of an image. If you haven’t tried Canva before, here is why you should. 9. 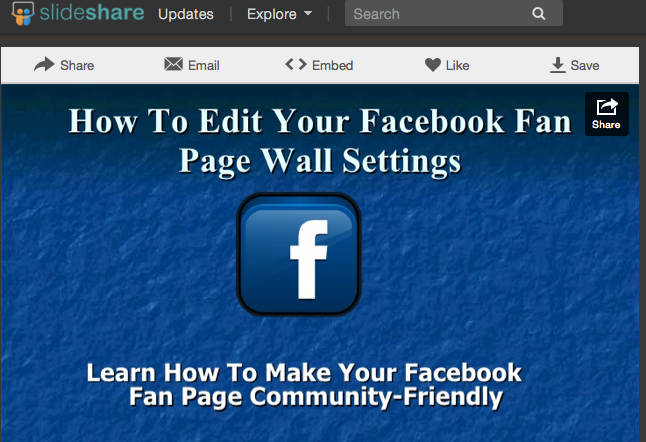 Create a Slideshare presentation. 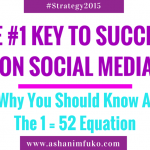 Have you heard of Slideshare? Have you ever used it? Slideshare is the world’s largest community for sharing presentations and other professional content. It allows users to easily upload and share presentations, infographics, documents, videos, PDFs, and webinars. 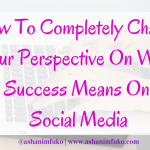 It is social media-friendly, and you can share your presentations across all of the major platforms, and even embed them into your website or blog. It’s a great way to highlight your expert knowledge, build your credibility, and drive traffic to your website. Give it a try! This Slideshare presentation I created a few years ago has over 24,000 views!! Now THAT’S brand exposure! 10. Update your website. Have you updated your website lately? Is there anything on there that is outdated, or no longer relevant? Do you have new content that needs to be added to your website? Take a moment today to look it over and see how you may be able to refresh the content on your site. Read here for the “12 Critical Components of a Website That Turns Visitors Into Loyal Customers”. 11. Post a valuable, industry-specific tip for your audience. People love free tips and advice that can help them grow their business, enhance their career, or improve their health or personal life in some way. What are you an expert on? What knowledge do you have that people pay a premium for? Let one of your social media updates each day be one that offers free and valuable, industry-specific tips for your online community. I promise you that your fans and followers will appreciate it, and it will further solidify why they should ultimately hire or work with you. 12. Optimize your YouTube channel. All YouTube channels are not created equal. If you have a YouTube channel, but haven’t optimized it yet, then your channel is falling flat, and you probably won’t have very many subscribers. YouTube is one of the top search engines in the world! When people are searching for help on a particular topic, for advice, how-to videos, resources, and of course, entertainment, they go to YouTube. Check out “11 Ways To Optimize Your YouTube Channel and Videos For Maximum Views” for some very helpful tips that you can use today. 13. Create a video for your brand. Whether you have a YouTube channel or not, videos are an awesome way to capture the culture and value of your brand, in a visually stimulating way. It doesn’t matter what type of work you do, or what type of business you own, videos are a powerful marketing tool when done right. Create a new video for your brand, using a free and simple tool like Animoto, or higher a professional to create one for you. Be sure to read this before you create your video, to ensure that it is professional and a valuable marketing tool for your brand. 14. Try Something New! You can read all of the social media marketing tips and advice you want, but if you keep doing the same old thing, year in and year out, your brand will never reach it’s full potential. Why not try something that you’ve never done before? Try something that scares you! Try something that many people in your industry are NOT doing. This can be anything from starting your own podcast, hosting a weekly Twitter chat, creating a video series, publishing an e-book or whitepaper, or even hosting a live seminar or event. Whatever it is, add a new spark to your social media marketing by trying something fresh, new, and unexpected. 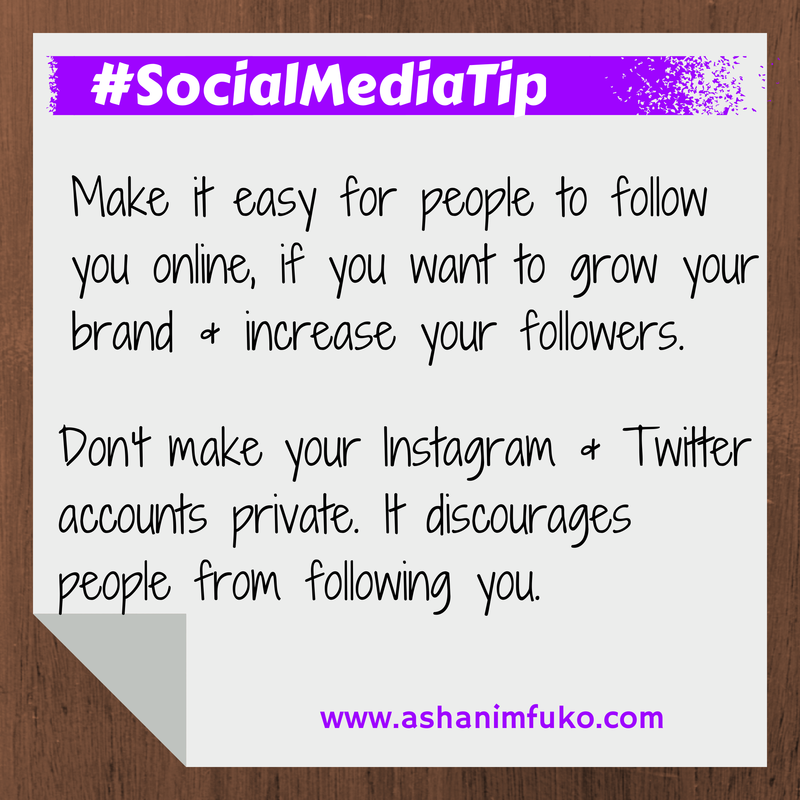 #SocialMedia Tip: Try something that many people in your industry are NOT doing. Be an innovator! 15. Stop talking about what you want to do on social media and JUST DO IT! 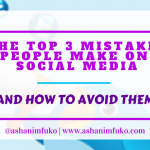 I see so many of my clients who have the tools and resources outlining what they should be doing for their social media marketing, yet they’re not doing it. Knowing what to do, and actually doing it, are two completely different things. Take action! Don’t get stuck today! 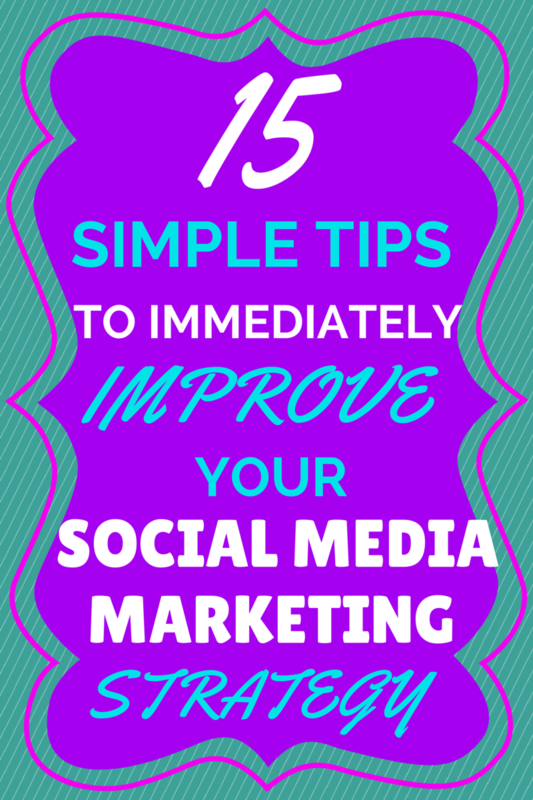 Use these tips to proactively improve and enhance your brand’s presence on social media. Don’t be one of those people who knows what to do, but simply doesn’t do it, out of laziness or fear. Get active, and breathe some new life into your social media marketing today! Did you find these tips helpful? Which one of these tips stood out to you the most? Reply in the comments below! I’d love to hear from you! Don’t forget to share this post on social media and help someone else grow their brand on social media today!